Honeywell V135A1048 Three-Way 1-1/2" Mixing/Diverting Valve. 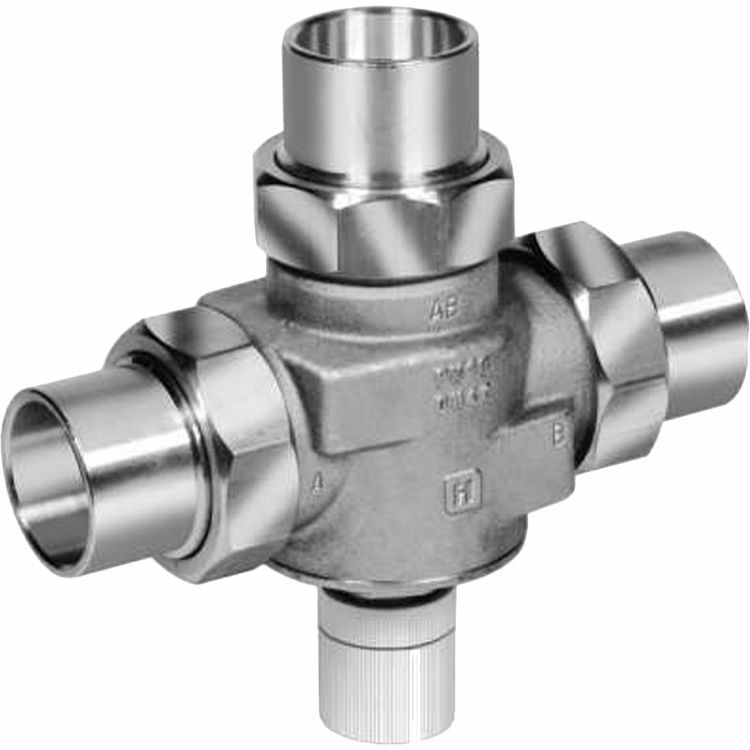 These Thermostatic Mixing or Diverting Valves for use in hydronic heating systems as a Three-Way mixing or diverting Valve; controls loop temperature in radiant heating systems. Includes plastic handle for manual operation. Knurled ring on T100R control head for easy attachment to V135.